"On March 19, 1768, the foundation for a new church just outside of present-day San Antonio was dedicated. 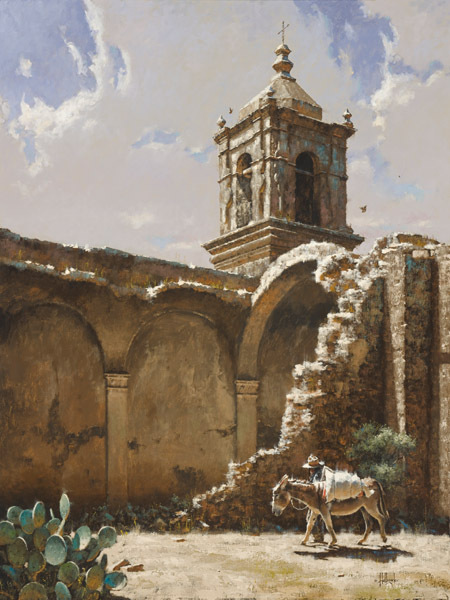 Mission San Jose y San Miguel de Aguayo was to become on of the most beautiful in the Southwest. After flourishing for several years, the mission began a gradual decline until Christmas Eve 1874, when the church's dome collapsed. The derelict church remained in this condition until the early 1900's, when local preservationists began a campaign to restore San Jose. After years of intensive labor, the mission is now part of the National Park Service."